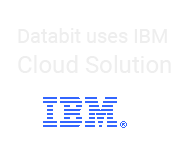 Databit is a privately held, value added reseller offering a comprehensive range of hardware and software integration, design implementation and maintenance. We sell and service personal computer-based computer hardware, software, data storage, client/server and networking solutions. We offer our customers a full range of system integration including design implementation, hardware and software selection, and installation of local and wide area networks among many other services. Over the years, DataBit has built a solid reputation for dependability and integrity by supplying our customers with professional service. Our company employs highly qualified professionals who work very closely with the customer, establishing a partnership, which is so critical in the ever fast moving technology world. DataBit has an impressive portfolio of clients in a number of key industries such as legal, insurance and health care. DataBit offers IT solutions to businesses across the United States, and is headquartered in Mahwah New Jersey.